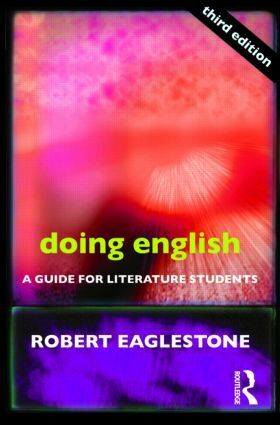 Aimed at students of English Literature in their final year of secondary education or beginning degrees, this immensely readable book is the ideal introduction to studying English Literature. Doing English presents the ideas and debates that shape how we ‘do’ English today, covering arguments about the value of literature, the canon, Shakespeare, theory, politics and the future of the subject. enables you, bridging the gap between 'traditional' and 'theoretical' approaches to literature. Practical and provocative, the third edition of this classic guide is fully updated, including new material on English assessment objectives and a new chapter on creative writing. PART IV ENGLISH STUDIES . . .?